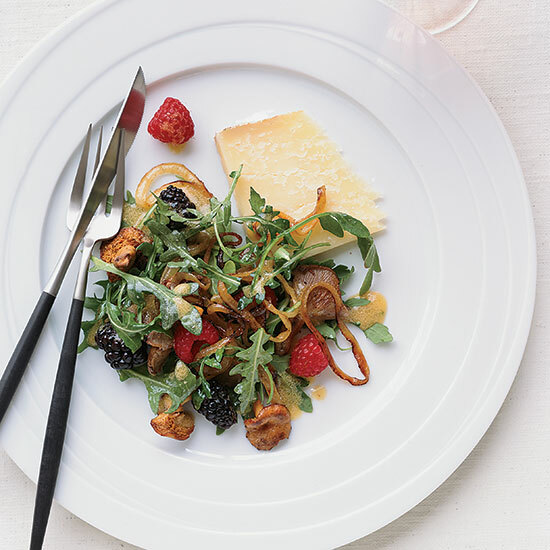 There is nothing quite like a nicely seasoned, perfectly cooked, beautifully topped burger. 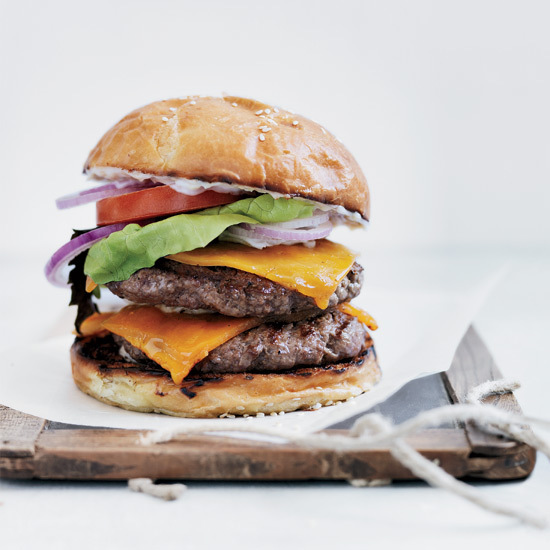 This terrific burger is sprinkled with a spice mix halfway through grilling; if you mix it in before cooking, the meat will get tough. 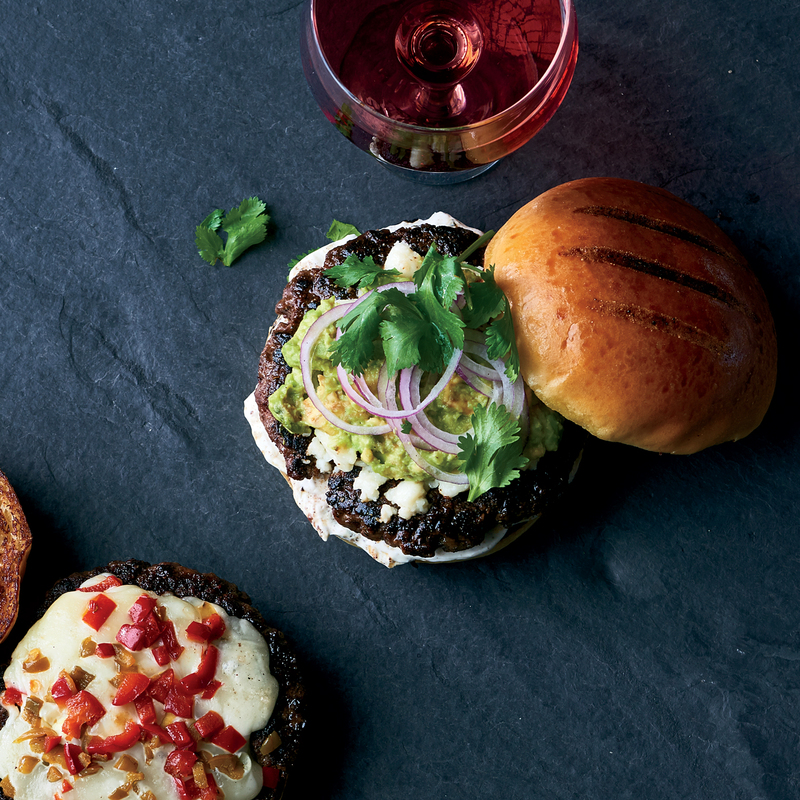 Garnishes of crema and avocado add rich creaminess that pushes this burger over the top. 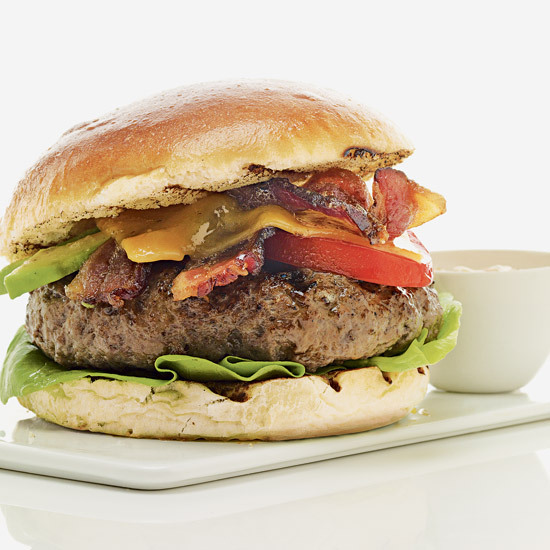 Danish blue cheese, smoky bacon and creamy avocado star in this amazing burger. These burgers don't exist in Mexico, but they are flavored with spices and seasonings used in the various chile-based moles for which Oaxaca is famous. 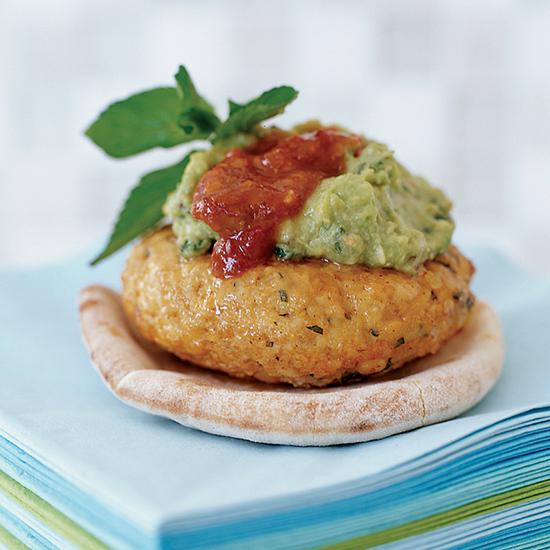 Delicious avocado mash tops these moist, low-fat chicken burgers. Russian dressing, avocado and bacon make this amazing "Louie-style" burger. 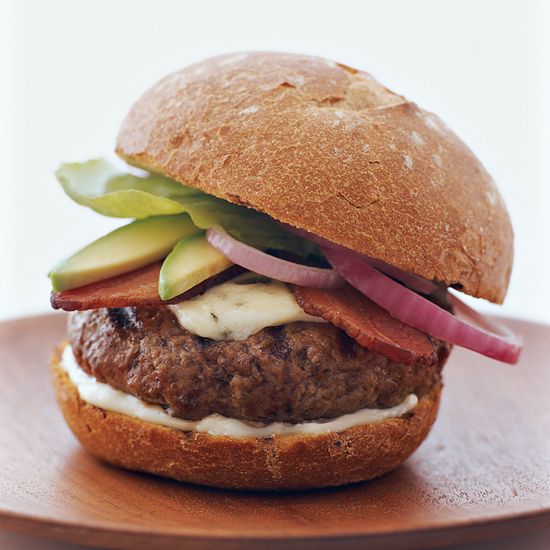 Garnishes of crema and avocado add rich creaminess to this delectable burger.